February 18, 2015 – The Cross-track Infrared Sounder (CrIS), one of five instruments that will fly on-board NOAA’s Joint Polar Satellite System-1 (JPSS-1) satellite, has completed its pre-shipment review. CrIS will provide accurate, detailed atmosphere, temperature, and moisture observations essential for weather forecasting. Daily CrIS measurements are used by NOAA’s National Weather Service to enhance numerical weather prediction model mid-range forecasts, critical for warnings three to seven days ahead of severe weather. CrIS measurements also support shorter and longer-term weather forecasting. Over longer timescales, they help improve understanding of climate phenomena, such as El Niño and La Niña. 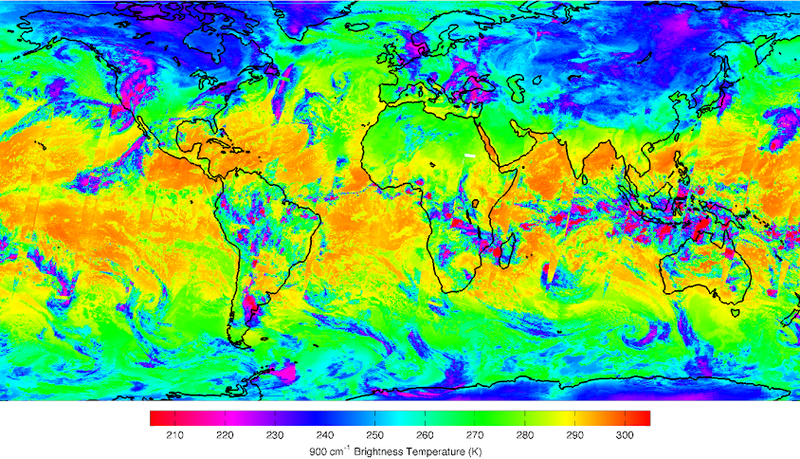 CrIS produces the high vertical resolution temperature and water vapor information needed by numerical models and forecasters. CrIS, which was built by Exelis in Fort Wayne, Indiana, represents a substantial advance over legacy NOAA operational sounders. Now that the instrument environmental testing phase is complete, CrIS will be delivered to Ball Aerospace & Technologies Corp. in Boulder, Colorado for integration with the spacecraft. CrIS is currently flying on-board the NOAA/NASA Suomi NPP satellite, launched in October 2011, and will not only fly on the JPSS-1mission, but also on the JPSS-2 satellite mission. JPSS-1 and JPSS-2 are scheduled for launch in 2017 and 2021, respectively. JPSS represents significant technological and scientific advances in environmental monitoring and helping advance weather, climate, environmental, and oceanographic forecasting and monitoring with greater accuracy. JPSS delivers key observations for the Nation’s essential products and services, including forecasting severe weather like hurricanes, tornadoes, and blizzards days in advance, and assessing environmental hazards such as droughts, forest fires, poor air quality, and harmful coastal waters, helping to secure a more ‘Weather-Ready Nation.’ JPSS also enables scientists and forecasters to monitor and study long-term climate trends by extending the more than 30-year satellite data record.